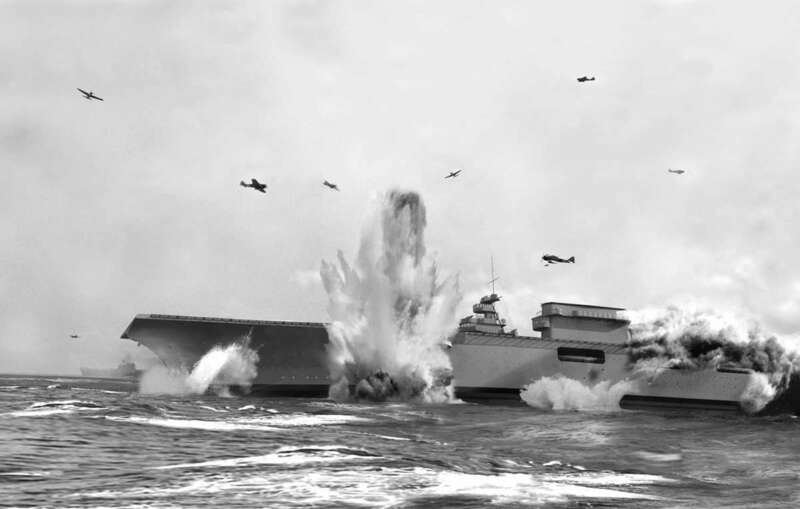 USS Lexington during the Battle of the Coral Sea, May 1942. Image: Naval History and Heritage Command. Three years ago the museum’s education team and the NSW Department of Education began to investigate how to run a student-centred research program to engage high school students with stories from World War II (WWII). This program would mark the significant anniversaries of the WWII battles in the Pacific. Eight high schools from Australia and the USA joined the scheme this year to research ‘War and Peace in the Pacific 75 years’, a project funded by the Australian National Maritime Museum, Sydney Australia, the New South Wales Department of Education – Learning Systems Directorate and supported by the USA Bicentennial Gift Fund. The scheme incorporates a project-based international collaboration model, where the students make all of the decisions from the research scope through to the writing, filming and editing. Each school was set a particular topic to become experts on and are encouraged add their own perspective and reflections on their findings. The videos produced are shared and the students watch and learn from their peers. The students also have an opportunity to meet and ask questions each other through a video conference. We have found the students have embraced the historical process and have been surprised by some of their findings. The video documentaries the students have produced tell stories about events during WWII focusing on the Pacific theatre from the perspective of their home nation, city and culture. The videos highlight the depth of the alliances and friendships that have grown out of the conflict of the War in the Pacific. These student-produced documentaries will be posted to the Australian Maritime Museum’s YouTube Channel throughout May 2017. “The USA and Australian Alliance” by The Franciscan School in Raleigh, North Carolina, USA. “Battle of the Coral Sea May 4-8 1942” by Academy of the Canyons in Santa Clarita, California, USA. “The Battle of Midway June 4-7 1942” by Central Union High School in El Centro, California, USA. You can view the entire War and Peace in the Pacific playlist here with short documentaries and interviews with Coral Sea veterans.